Meryl McMaster’s colour photographs explore the fluid domain of identity, and the possibilities of examining and revisioning the self and its representation. 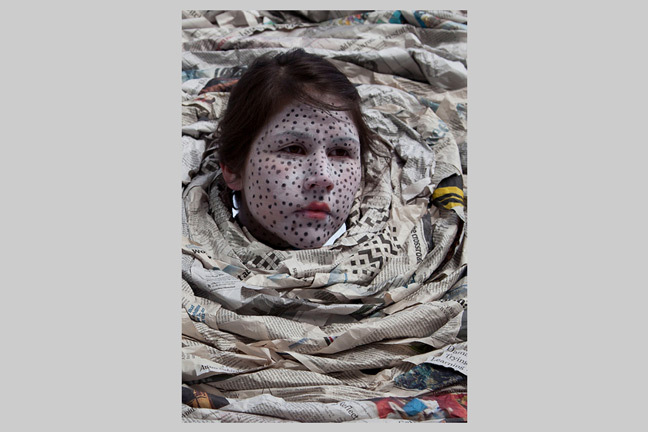 Placing her body centrally in front of the camera, she transforms her appearance, whether by layering photographic images onto her body or through elaborate costumes and props she creates and inhabits as alter egos. An artist of Plains Cree and Euro-Canadian heritage, McMaster explores the dimensions of her own sense of identity, and the complex history of the photographic representation of Indigenous peoples. The three bodies of work in Confluence collectively trace the evolution of McMaster’s practice, with its recurrent thematic threads. Confluence is a touring exhibition organized by the Carleton University Art Gallery in Ottawa and is accompanied by a publication with essays by Gabrielle Moser and cheyanne turions, as well as an interview with McMaster by CUAG curator Heather Anderson. 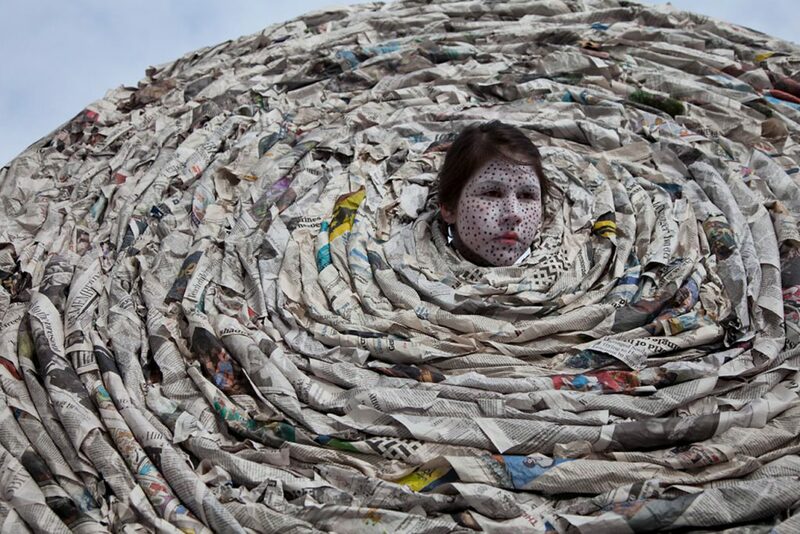 Meryl McMaster graduated with a BFA from the Ontario College of Art and Design in 2010. Her awards include the Eiteljorg Contemporary Art Fellowship, Eiteljorg Museum of American Indians and Western Art (2013) and the Charles Pachter Prize for Emerging Artists, Hnatyshyn Foundation (2012). She was long listed for the 2016 Sobey Award. McMaster’s work has been exhibited across Ontario and Quebec and in the United States. Her work is held in many in public collections including the Art Gallery of Ontario; Justina M. Barnicke Gallery; City of Ottawa; Eiteljorg Museum; and the Canada Council Art Bank; as well as in many private collections. McMaster is based in Ottawa and is represented by Katzman Contemporary in Toronto. Above: Meryl McMaster, Aphoristic Currents, 2013, chromogenic print, edition 2 of 5, 50 x 36 inches. Courtesy of the artist and Katzman Contemporary. Collection of John Cook.